Home Read Why is Racing Apex Already Running on Fumes? Why is Racing Apex Already Running on Fumes? 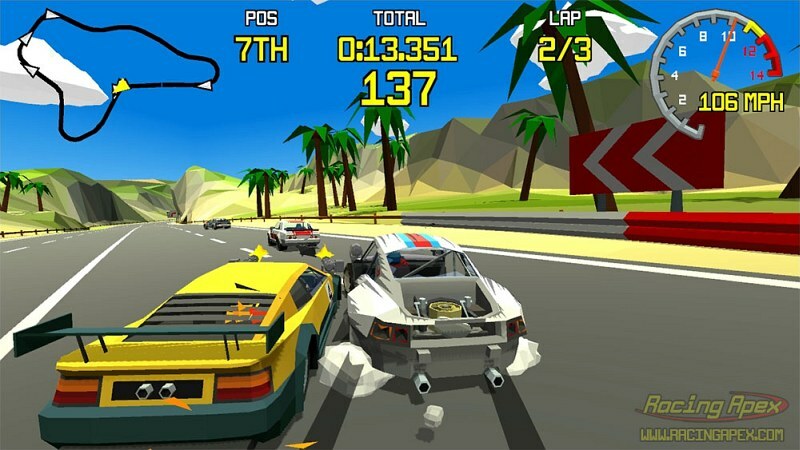 Racing Apex, a ’90s arcade racer developed by Lucky Mountain Games, is yet another Kickstarter campaign headed straight for pit row. So far, its roughly 130 backers have pledged barely 10% of Racing Apex’s goal of £35,000—which is dismal, to say the least. The campaign ends on May 5th, with still a few weeks to go, but over here at Cliqist, we’re all but scribbling out its eulogy. 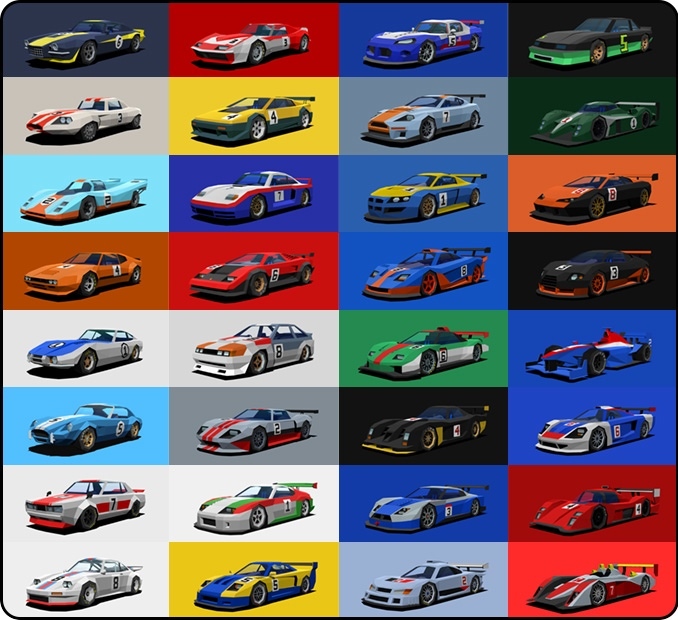 There will always be racing fans out there, whether they enjoy getting putting the rubber to the road in the latest Forza or cruising around with a few buddies in Mario Kart. Racing Apex seems to fall splat in between the two; Lucky Mountain even billed their game as being a racer that “adds modern gameplay elements of car combat and multiplayer mayhem”. Surely there are racers out there that want to bring together the best of both worlds, myself included. So what’s the problem? Am I a unique snowflake? Apparently not. Surprisingly, in stark contrast to its dismal Kickstarter campaign, the game was Steam Greenlit only yesterday! So the problem isn’t so much that people aren’t interested in a throwback racer, they just aren’t interested in investing in this particular throwback racer. But why not? Oftentimes, when it comes to crowdfunded games, the two usually go hand-in-hand! On the surface, it looks like a polished racer. Its project overview is very thorough, and everything you can possibly think of is covered. There are eight different game modes, from a standard arcade mode to a “capture the flag” mode, which involves “[driving] your car onto the other team’s flatbed truck” and “getting the flag back to your team’s rig”. Keyboard and gamepad are both supported, and they are pushing for steering wheel support and even VR—if they manage with some miracle to reach their stretch goal. There are a whole slew of well-designed drivers to choose from, and of course, an abundance of cars on display—32 to be precise. Lucky Mountain has listed half as many tracks to race on, and they haven’t forgotten to implement the elements of fog, rain and night. The additional items are probably the most intriguing, adding everything from weapons (duel gatling guns), to smoke and oil slick, which are meant to slow down racers directly behind you. The visuals are unique and eye-catching, while also in the vein of the retro-inspired theme. If Lucky Mountain hadn’t announced that their game had been Steam Greenlit, I would have boiled it down to the concept’s general lack of appeal. But since that doesn’t seem to be the case, and the game itself looks more than ready for a Kickstarter campaign. It isn’t that they’re asking for too much money, or that no one’s hearing about the game—the fact that it was Steam Greenlit affirms as much. With my amateur detective skills, I’m going to conclude that people simply aren’t interested in the additional features of Racing Apex. They probably love the 90s racer look and feel, and they’d have no problem test driving a few tracks, but I’m guessing they just aren’t interested in the “car combat and multiplayer mayhem”. If you’ve got your own reasons for not funding Racing Apex, let us know below.